Contraindications: (I through V): Avoid during early pregnancy. All sales are final. We do not offer exchanges, returns or refunds on any products. Our herbal tinctures are custom-made especially for you. Please use the drop down menus to select the tinctures of choice. You can select a vegan option, if you don’t want any non-vegan ingredients. Please follow the sequence of tincture number when ordering to avoid unnecessary charges. If you want to order 5 tinctures, please “choose an option” in the first 5 fields without skipping any fields. If you choose “none” in the 5th field and “choose an option” in the 6th field, the system will automatically charge you for 6 tinctures. 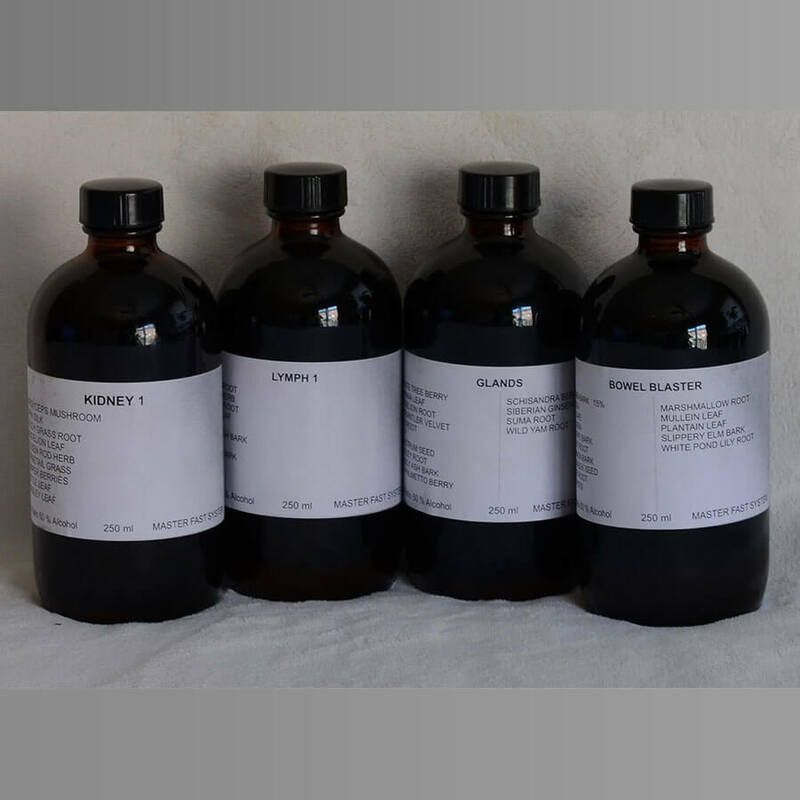 Minimum order is 4 tinctures for all sizes. 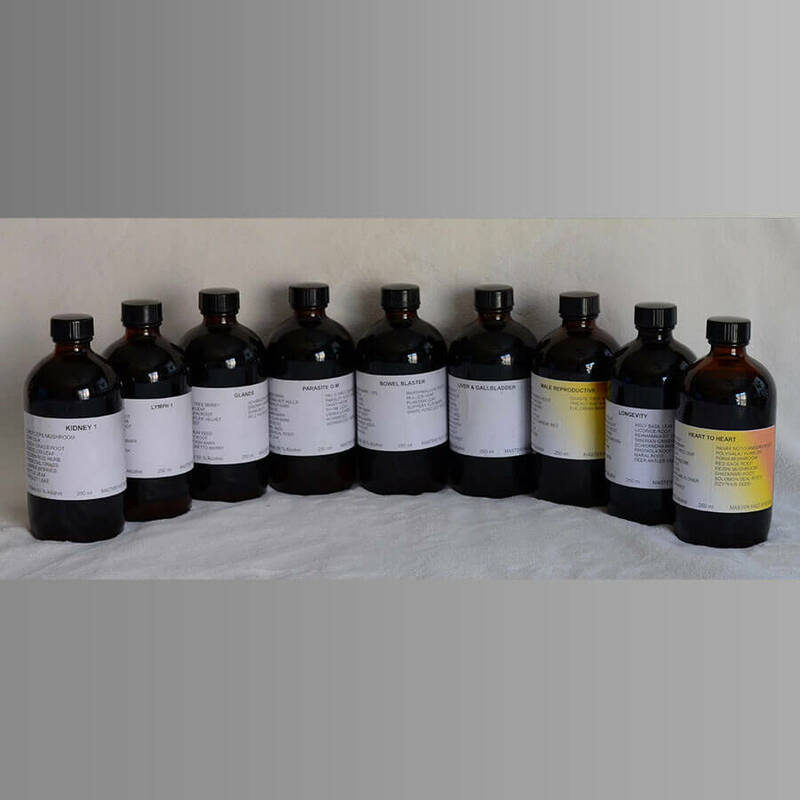 Maximum order is 18 tinctures for 100ml and 250ml, 14 tinctures for 500ml, and 9 tinctures for 1,000ml sizes. 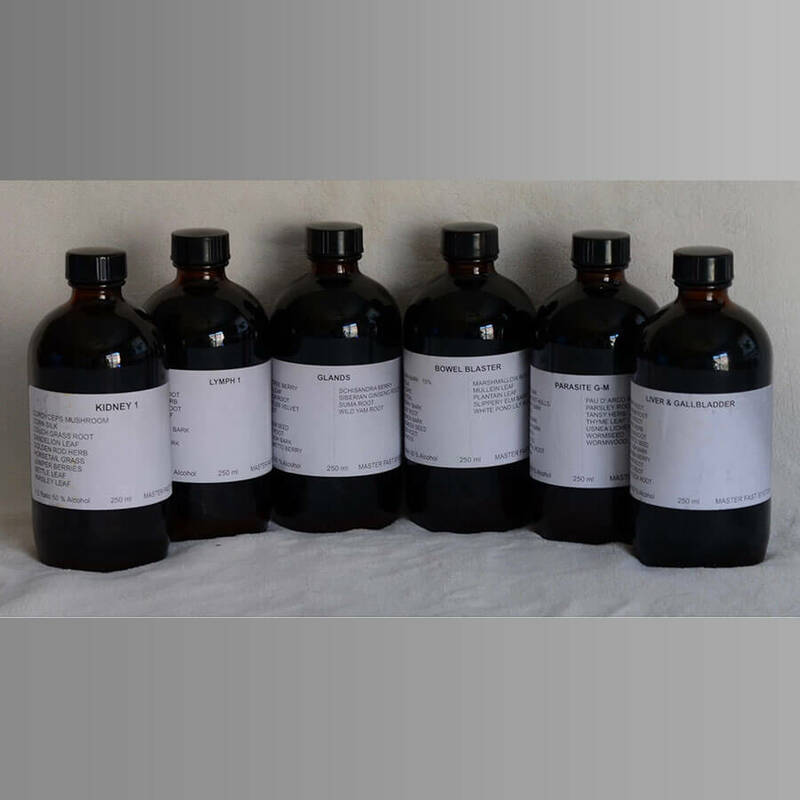 Maximum custom order is 12 tinctures for 100ml/250ml/500ml, and 9 tinctures for 1,000ml sizes. Our 100ml and 250ml tinctures are shipped in glass amber bottles, whereas the 500ml and 1000ml tinctures are shipped in plastic bottles. Shipping to European countries excluding Ireland, Netherlands, and UK involves forwarding to UK first. Thus, product pricing includes custom and shipping charges to UK (the forwarding country). The additional flat rate shipping charge at the checkout is the shipping cost from UK to the destination country. Unfortunately, we are unable to forward ship to Norway due to strict country regulations. Minimum 6-9 business days to prepare, plus shipping time. Large and/or custom orders may require more time. Once your order is placed, you will receive a Notice of Payment. Then, you will not hear from us (unless there is an issue with the order) until the order is shipped. We will then send you a Tacking Number to the email provided (please note that you may receive the order before the Tracking Number is sent). We are not responsible for customs in your country refusing any of our packages and/or sending them back to us. You assume all risks for any of the packages you order from us and cross any borders. Make sure your address and all your information are entered correctly. If you entered your address incorrectly, you will unfortunately end up paying for shipping back and forth. Shipping to “most” countries includes insurance to cover replacement in case of loss (non-delivery) or damage. However, insurance does not cover broken glass. Our packaging has been rigorously tested. The only way to break the glass bottles is if they are dropped very hard. To activate an insurance claim, a completed claim document is required along with photographic evidence of the damage caused (to both the packaging and the goods inside) and any other important information. Delivery confirmation by your post office is our guarantee that your package has been delivered. Make sure you have a safe way to receive your package(s) as there is no signature option outside Canada. 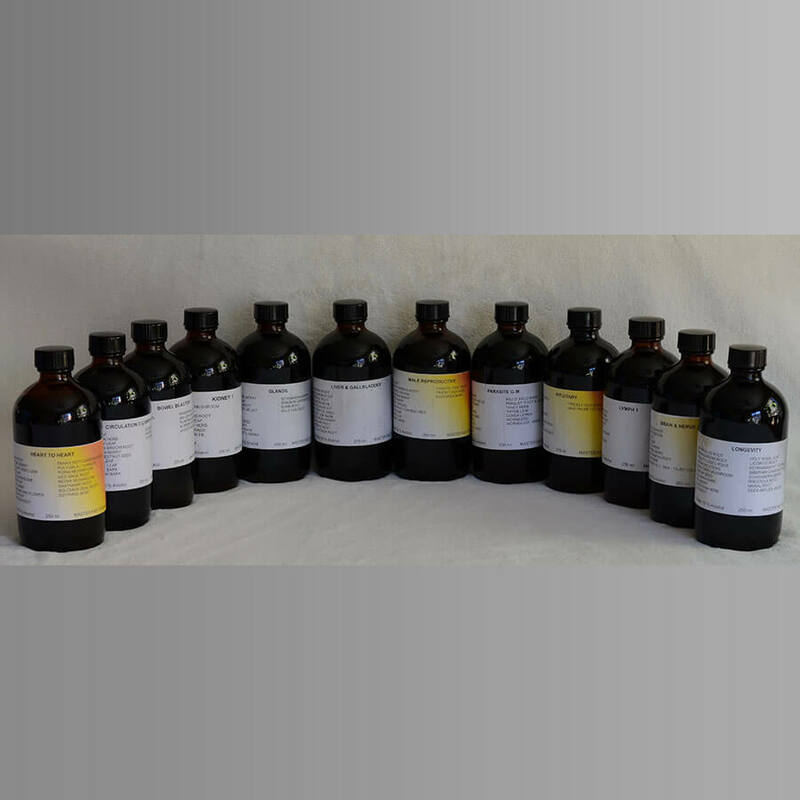 For custom orders, please visit Custom Herbal Tincture page. If you have further questions, please click here Contact Us.